It is always nice to get compliments about how good your skin looks and questions as to what you have done differently to get 'that glow' and those are the questions I have been asked lately from both friends, colleagues and bloggers and in truth, other than changing my skincare routine slightly, I have changed the foundation I was wearing (it ran out) to something completely new, from a brand I knew very little about - Laura Mercier. Whilst browsing in John Lewis, I was mesmerised watching the girls on the counter do various makeovers and drawn in by how good they looked once finished, I was sat in a chair within seconds. Unlike other makeup counters where I have been, this time I was told a little bit about the background to the brand, for example the brand was founded back in 1996 and the entire philosophy revolves about The Flawless Face - a concept that making the skin look perfect is the first and most important thing we can do to achieve a great look. Not something I can argue with that is for sure. Having been asked what I would usually use on my skin, what make up look I like and whether or not any of the products had jumped out to me, the one thing I did say is that I cannot stand foundation that makes your face feel suffocated, has that caked on look no matter how little you apply and anything that works to cover blemishes and with combination skin, especially an oily t-zone is a must. 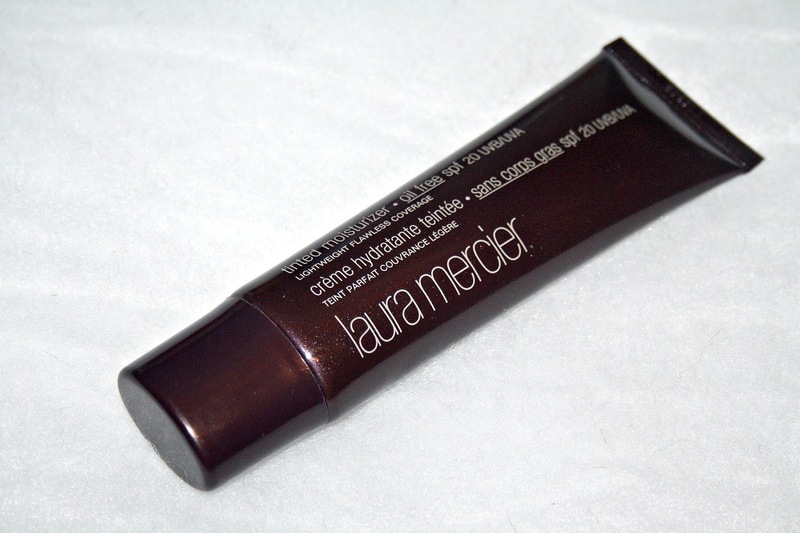 Laura Mercier Tinted Moisturizer which comes in a range of around 15 different shades, is described as being an oil free, sheer, lightweight foundation with SPF 20 and is suitable for all skin types, even those with sensitive or acne prone skin. I have shade Blush which is a one of the lighter shades and perfect for those with pink tones. Thankfully because it is a tinted moisturiser, it actually is really lightweight on the skin, despite being quite a creamy formula. As it was applied and as I now apply it, I use a buffing brush and finish off with my beauty blender to ensure I get an even coverage, but you can build up in areas that you feel need a bit more covering. I love that it is an oil free formula and it also works to prevent excess oil from setting on the surface of the skin, so if like me you can have that mid-afternoon greasy shine, you are not going to get that with this, something which has impressed me the most. 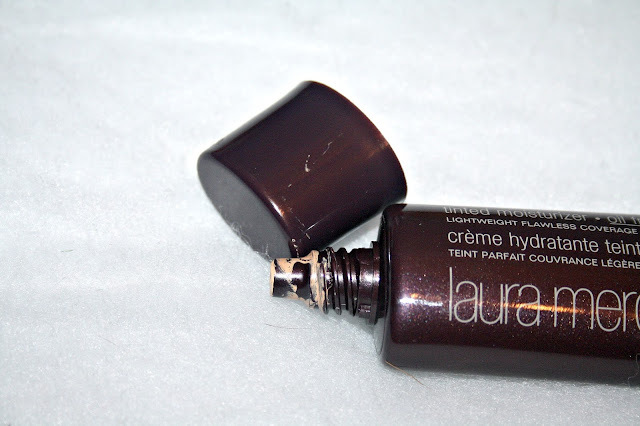 I have used quite a few tinted moisturisers over the years, especially when the warmer weather comes and ive never really found one I have loved until now. It is the one which is truer to the formula than anything else I have used and by that I mean it is hydrating, nourishing and moisturising whilst offering a hint of coverage. As I have said, whenever I have worn it, people have asked why my skin is all glowy and what am I using. 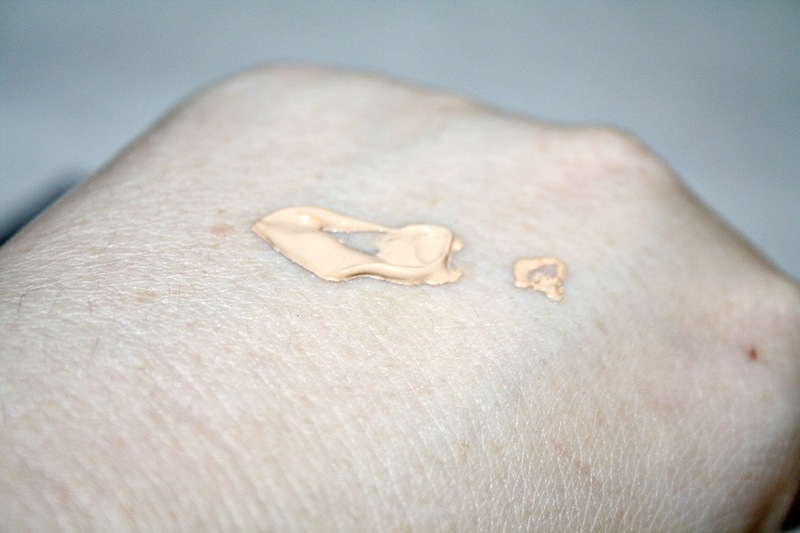 You can also mix this tinted moisturiser with your favourite foundation too. But all in all I absolutely love this product! Not only does all my redness, it does so without looking caked on and I really love that it is so light but also buildable. Priced around £34 it isn't going to break the bank and a tube lasts a good few months, obviously depending on how often you apply it and it is widely available at places such as John Lewis, SpaceNK, Feelunique, House of Fraser and more. I've not tried this one yet but my skin generally really likes Laura Mercier bases. The silk creme foundation is ace! This sounds really nice. I don't have much experience with Laura Mercier but I'd love to try this and their powders.